During the autumn and winter months, professional and amateur chefs alike dust off the baking sheets and brush up their skills. While most enjoy the flavor and decadence of a cake, cookie or pie, they often come at a high caloric price. With these healthy baking tips and tricks, you don’t have to compromise your diet or sacrifice a treat! Sugar, unhealthy fats, oils, and processed ingredients are frequently loaded into baked goods. What most do not realize, however, is that these elements are not always a necessity! In fact, there are healthy alternatives to each one. Here is our list of the best baking substitutions and suggestions for how to apply them. Sugary Goodness: Obviously, you still want your baked goods to have flavor and sweetness (usually), but reduce the overall sugar load. For a great alternative to sugar, consider using agave nectar. Agave nectar has a lower glycemic index than sugar which is potentially much better for diabetics or people who cannot properly process high amounts of sugar. Plus, it’s actually sweeter than sugar so you only need 2/3 to 3/4 the amount. This substitute works particularly well with pies and other desserts where fruit is included. 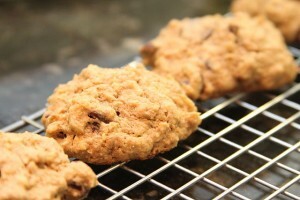 Mix the Flour: A majority of baked treats require flour in the recipe. However, using the typical highly processed white flour is not a healthy option! 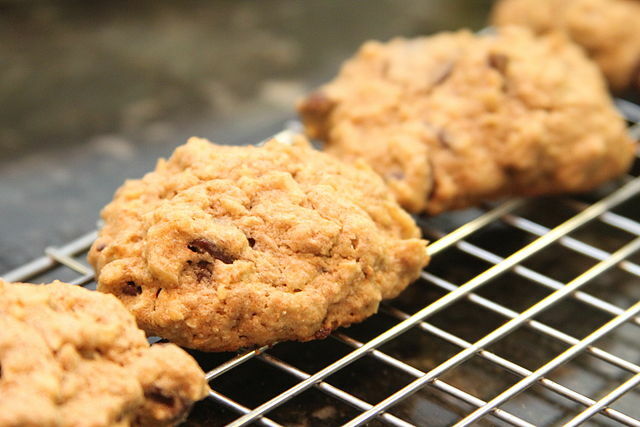 Switching one cup of whole wheat flour with the refined white flour provides a fiber boost to your cookies. Typically, white flour is a bit finer than whole grains so using a 60/40 or 50/50 mix is a good starting point. Experiment with the combination until satisfied. In addition, substituting nut flours such as almond or coconut flour can add an even better nutrient profile. Unless you’re using a specific recipe that calls for an exact amount of nut flour, consider using 1/4 or 1/3 mix with the white flour. You’ll gain a healthier balance, but not lose the shape or texture of the dessert. Produce Pump Up: Adding extra fruit or veggies into your batter might seem counterintuitive. I mean, who wants a salad when they could enjoy a cookie!? Some studies have reported test subjects actually prefer the more flavorful, produce-loaded option! For foods that call fruit, such as carrot cake, banana bread, cranberry cookies, etc., often you can include an extra cup of fruit. The payoff comes in extra fiber, faster and longer satiety, calorie reduction and a denser dessert. If you’re concerned about texture, using a food processor to puree the fruit or vegetables will work just fine. Drop the Fats: There are lots of great ideas available for reducing fat in your desserts. Sometimes just exchanging “lower fat” options can do the trick. Here are a few other ideas that might be new for you. If you’re a brownie, chocolate cake or other “dark” baked good lover, a blended 3/4 c of prunes is a great alternative to a cup of butter! Or, you could use silkened tofu to drop half the fat! Tofu, which is high in protein and calcium, works well for baking at a 1 to 1 ratio and has a neutral taste which makes the chocolate flavors stand out! Cut those Calories: You can make a significant dent in the calorie load of your baked treats by using fruit and veggie purees. As mentioned earlier, they can make your desserts more dense so use a smaller amount at first. A top choice for replacing oils, butter and high-cal shortenings is applesauce. Cakes, cookies and muffins will benefit from the light flavor of unsweetened applesauce. Using store-bought or heavy cream cheese to frost your cookies and cakes? There’s a better option! For a lighter alternative, mix 1 c powdered sugar, 1 teaspoon of vanilla extract and an 8 oz block of reduced or low fat cream cheese. It will be just as light, fluffy and delicious as before, but the calories will plummet (as well as the fat content!). While the cold months of the year are a great time for baking, you can indulge without destroying your diet! Using a few of these options will keep your family and friends satisfied while maintaining your waistline.